Air and Sea Stories is pleased to welcome Jemahl Evans, author of the critically acclaimed The Last Roundhead (Caerus Press, 2015) and the forthcoming sequel This Deceitful Light, which is due for publication in September. 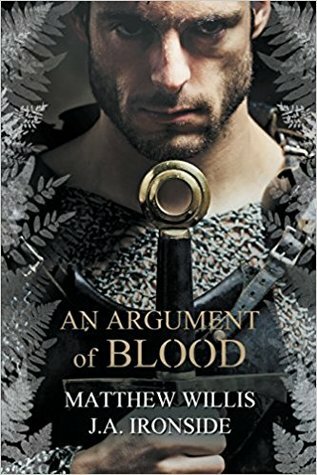 Jemahl graduated with an MA in History, focussing on poetry and propaganda during the Wars of the Roses, and started writing The Last Roundhead in 2013. Jemahl has just been made a full member of the Historical Writers Association. The Last Roundhead is a rattling good read, combining historical settings of striking authenticity with a compelling story and one of the most singular characters to emerge from historical fiction in the last twenty years, the rakish but vulnerable Blandford Candy. The second book is, from the early draft I’ve seen, even better. I’m delighted to chat with Jemhal about history, creating fictional historical worlds and the process of writing. Welcome Jemahl. Can you tell us when the character of Blandford Candy first appeared to you? Did you decide from the beginning he was an ancestor of Clive Candy, or did the idea of a charming but cynical Civil War parvenu come first? You’re a historian by training, but I understand the Civil War wasn’t originally the period you specialised in. What was it that appealed to you about the Civil War? And do you think that period has anything to say to us in these somewhat fractious times in British politics and life? How did you go about researching The Last Roundhead and This Deceitful Light? Did you start with the historical events and plot Candy’s course through them, or did you fit events to Candy’s narrative? There are a lot of real historical figures who make an appearance in both books, who appear as fully realised characters with their own internal lives. How much of this was based on the historical record and how much did you fill in with imagination? The voice in both books feels very authentic, with a bawdiness and earthiness that is nevertheless the antithesis of the puritans who were increasingly dominant. To what extent did the voice emerge itself and to what extent was it influenced by the writings of the day? It sounds as though the writing and editing of This Deceitful Light has been challenging. How have you found the particular difficulties of following up a successful first novel? Have you found it a case of the ‘difficult second novel’ as many writers face or is it something more specific? What, in your opinion, is the best thing about writing historical fiction?